Since a few weeks i have the problem that i cant play twd. 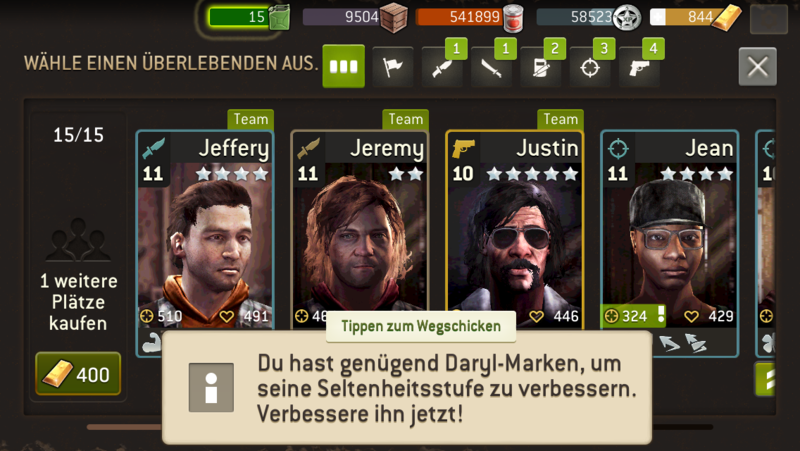 I have to upgrade daryl but i cant see him. First i click on my suvivors, and then i cant see daryl and i cant do anything. No click nowhere. Please help me! Thanks a lot. Is Daryl in outpost? If he is on guard duty, you need to move him out of outpost to train. 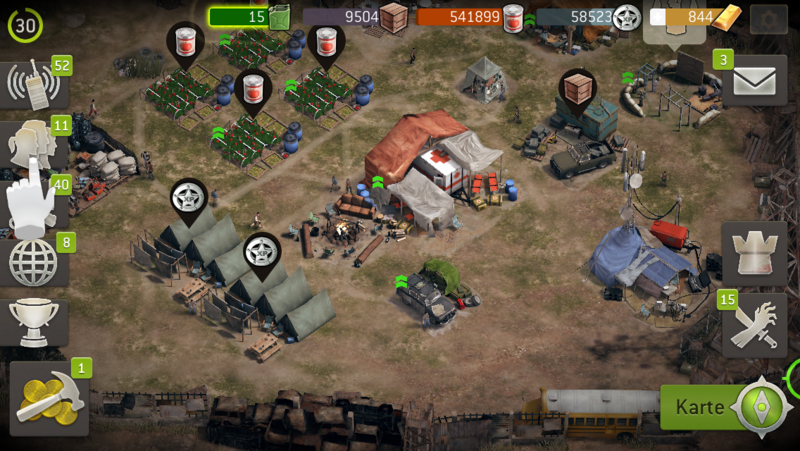 This was changed in 2.0.
i cant move him becouse i have to click on survivor. I cant click anywhere else. 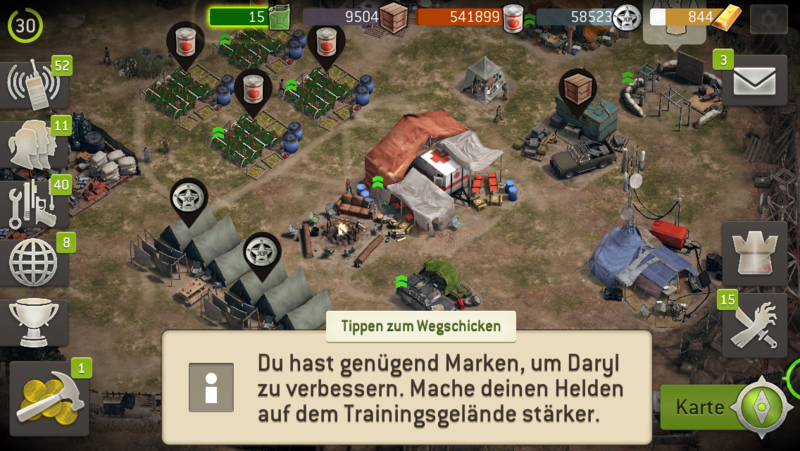 I start the game, i get the message that i can upgrade daryl, then i see the hand icon and i have to click on survivor and then i even cant scroll left or right. Ok now I understand, could you post some screenshots? @ActionAndy , are you able to click the flag in the survivor roster screen? Daryl is there. Ok submit an in game support request, when the game is loading, press three fingers on the screen for 10 seconds should bring you to a setting, help, FAQ screen, click contact us and send a support request to tell support that your game is stuck. Once you've done that post your player name, player level and guild name (if any) here to expedite the process. @ActionAndy , any update on this issue?